After the last major Daesh stronghold in Syria, the town of Abu Kamal, was liberated, Russian Aerospace Forces continue to support the offensive in the Euphrates River Valley conducted by the Syrian army. 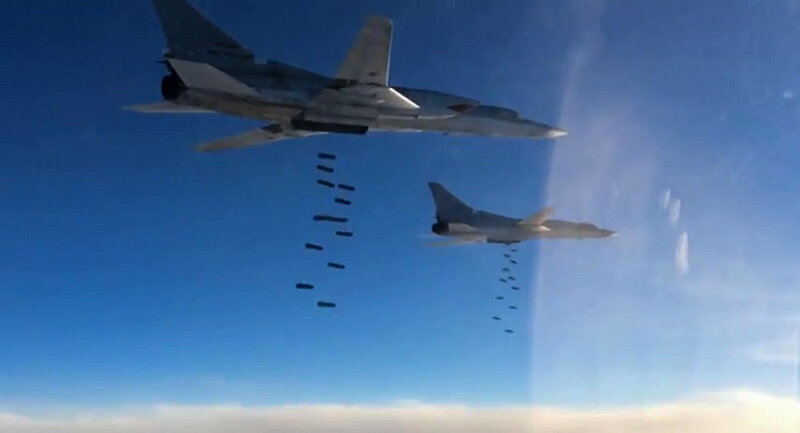 The Russian Defense Ministry has announced the strikes by six Tu-22M3 long-range bombers on Daesh targets in Northeasern Syria. The airstrikes hit terrorists' strongholds, a number of militants and some armored vehicles with means of reconnaissance confirming the targets' destruction. This is the third aerial operation of the Russian Aerospace Forces in Syria this week. Successful military actions in Deir ez-Zor and Abu Kamal led to the expulsion of Daesh militants from the province with the west bank of the Euphrates River remaining the only area where Daesh units are currently still operating. According to the Defense Ministry, at the moment Syrian army units are pursuing and eliminating groups of terrorists in the area. Over past months, as a result of the Syrian government forces' offensive Daesh terrorist group has lost most of the territory it had occupied during the Daesh rampage across Syria and Iraq in 2014. According to the Russian Defense Ministry's data, over 90 percent of the Syrian territory has already been freed from militants with the Moscow's aerial suuport that had launched the operation in the Arab Republic at the request of President Bashar Assad in September 2015 and is due to "be completed soon."